Whether you have long or short term storage needs our spacious and secure facilities will give you peace of mind, and the additional space you require. Storage is the number one solution for de-cluttering your space or getting rid of excess inventory. Need to get your inflatable mattress bag? No problem. If you need to access your storage at a later time, simply contact us to schedule your access. Storage access is based on availability and made by an appointment for a small charge. No time for that? 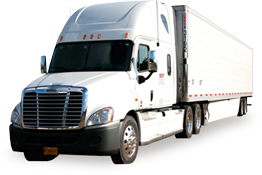 You can call us and ask us to deliver specific items from your inventory list. Our crew will deliver them at a convenient time for you.